Israel. This week, I’m sitting in the sun in Jerusalem as I write. It’s a glorious city that beckons like no other. Its past, present and future converge in one time and place. It’s impossible to comprehend it all, so I always begin with my senses. I smell the trees and the city neighborhoods. I hear cars honking on busy streets, and church bells and Muslim calls to worship from the surrounding areas. I taste delicious Israeli breakfast, Turkish coffee, and chocolate pastries. I touch everything I see from the Jerusalem stones that cover every building to the leaves of the trees I pass on walks down the street. I see the walls of the Old City beyond the hotel balcony and the building cranes in the distance that mark the past and the future. It’s all here. Beyond the streets, the privilege of attending the CCAR Convention this week and serving on its Board of Trustees also takes me into the politics of the times. On Monday, the Board was privileged to meet face-to-face with Prime Minister Benjamin Netanyahu. In a meeting of some length, the Prime Minister was thanked for his nod to the Reform Movement that played a large role in two recent achievements. First, a section at the Western Wall was declared open for egalitarian worship. It’s an achievement that is more than symbolic. 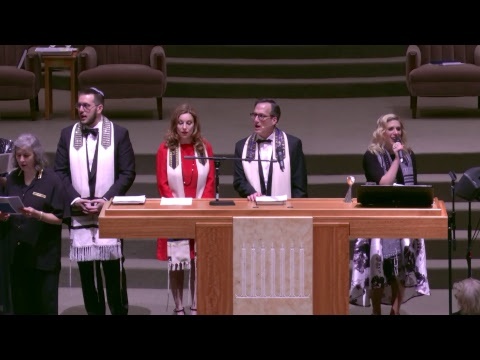 It is real for those who worship in a modern, Jewish, Democratic Israel, and it opens the way to persist in achieving pluralistic ideals inherent in our view of Reform Judaism at home and in Israel. The role played by the Reform Movement and its affiliate organizations, such as the Israel Religious Action Center, cannot be underestimated. On Wednesday, over 300 Reform rabbis attending the convention filled an auditorium at the Knesset. There our CCAR leaders, Rabbi Denise Eger, Rabbi Steve Fox, URJ President, Rabbi Rick Jacobs, and WUPJ CEO/Executive Director Rabbi Danny Freelander spoke before Members of Knesset about the dynamic and instrumental role of Reform Judaism in pursuing a Jewish and democratic Israel for all. The MKs (members of Knesset) who spoke affirmed their position on a future that seeks a two-state solution for Israel and Palestine, and raises the stature of non-orthodox Judaism in Israel, so that we can all proclaim that there is one Judaism for one Jewish people in one Jewish state. The gathering was historic and its implications are visionary. I am very proud of our Reform Movement’s achievements in the interest of Israel’s well-being and Jewish democratic future. There are no simple answers in the Middle East. As someone once explained, “Anyone who thinks he’s an expert hasn’t been fully informed.” The goal we should all seek is a peace process that isn’t put on hold. If left untended the danger will increase as pressure builds and hope diminishes. Daily efforts towards peace, slow as they might be, are the only way to open the door to possibilities that are thus far out of reach and off the table. We’ve been taught that hope is connected to the future. On May 29th, I will return to Israel to lead our 10-day congregational trip. When we come to Israel, we’ll arouse our senses together to experience the past, present and future through history, archeology, technology, and in every special setting from north to south, and east to west. Don’t let anyone ever tell you that Israel doesn’t matter. Israel is the only reason that the Middle East isn’t burning. It’s the only hope for millions and millions of Jews who call it home. Israel is the Jewish homeland that fulfills a 2000 year-old dream, which we and our children are entrusted to sustain.